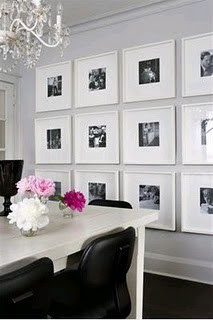 I have always LOVED pictures and putting pictures in frames around my house. 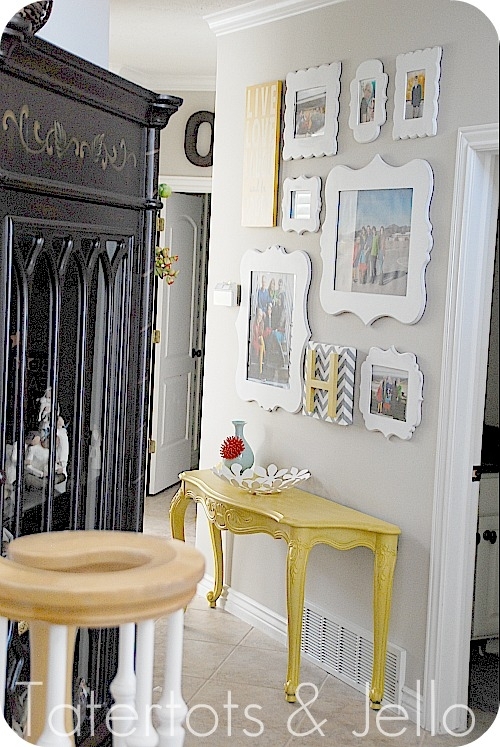 I thought it would be fun to show different ways you display pictures in your home. I'm hoping to get some pictures printed and framed soon and make some new display walls. I have this one in our family room but it needs to be updated! 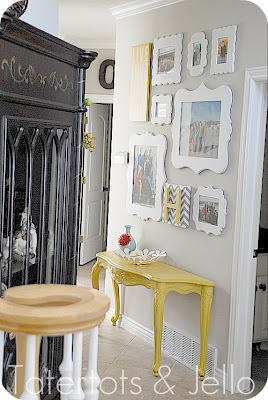 I took to interest to look for displays I like. I like the clean look of the white with B&W pictures. 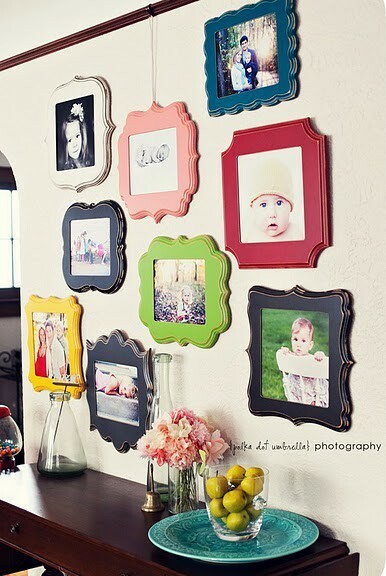 And I ADORE these frames and this display! This was my favorite - love the colors and the way they displayed them. 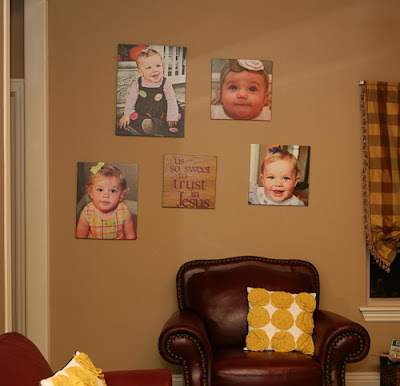 I hope you will share all the ways you display your pictures in your home!